You’re sending a welcome email to new subscribers, right? Because if you aren’t, you’re missing a major opportunity to get better results. Welcome emails get just about the highest opens and click-through rates of any other type of emails. They earn 320% more sales, too. Want one other juicy takeaway? 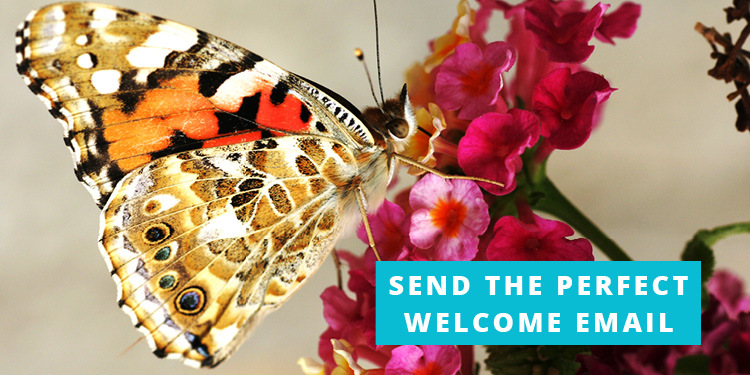 Sending welcome emails immediately – instead of delaying them a few hours – will get you ten times more transactions than a delayed welcome. All that just for saying hello to your new subscribers. Cool, huh? I love this one. Just send a simple, text-based email asking “What’s your most pressing question” about whatever your site is about. This could not be simpler to set up. It’s a couple of lines of text, and you get the answers just by asking people to reply. Hat tip to Derek Halpern for first sharing this. So why do it? Because you’ll get great ideas for content in the replies. Even more importantly, you’ll be learning more about your subscribers and how you can help them. If you want, there’s a way to kick this tactic up a notch. It’ll get you way more responses than if you just asked people to reply to the welcome email. Give them a valuable free gift – aka a “lead magnet” in exchange for them answering your “what do you most want to know” question. Send them to a landing page to give their reply, so you can “gate” that free gift until they’ve filled out a text box with their answer. Of course, some people may just type in “blah blah blah” for their answer – they may not give you the detailed reply you want. But it doesn’t really matter. Most people are honest and will give you at least a decent answer. For the ones that don’t give you a real answer? Let it go. You haven’t given away the farm in the free ebook or gift you gave them. And besides, every additional piece of content you can get your subscribers to engage with, the better. This one’s maybe even easier than the question email. All you have to do here is just give them a thumbnail introduction to your work. This can be as simple as one to two sentences that basically say “Thanks for joining my list!”, followed by a few hyperlinked bullet points pointing them to your all-time best-performing content. Consider adding one or two good resources for newbies in there, too. They’re giving me a push to start using the tool, along with a guide for how to do that. They’re also offering a “how-to” guide to show me what’s possible with content curation. All in all, this is pretty good. Want to kick this tactic up a notch, though? Use a welcome video. You don’t have to even embed the video in the email message if you don’t want to. Just create an image of the first frame of the video. Put a small triangle inside a circle at the center of the image. It’s the universal sign for “this is a video”. Then link that image to a landing page where the video automatically plays. The experience makes the user feel like the video is embedded, but you won’t have to worry about getting the video to play on different email clients or any of the other hassles that can arise. Got so much to say, you think you can’t fit it all in one email? No problem. Send more than one. This often works better than just one welcome email. To know if it works best for you, you’ll have to test it (we recommend you test everything). With multiple welcome emails, the first question is when to send them. I’d start with one a day. That way you aren’t sending too many, but you’re not frustrating the people who really want to hear from you, either. First email: Thanks for signing up and what to expect. Second email: Guide for newcomers and “what’s your biggest challenge” question. Third email: Follow us on social media, plus an extra intro video (great way to get people to subscribe to you on YouTube, too)… with a call to action to buy an entry-level product – like for $7. That’s a great start, but some email marketers decide to do one better. They use their welcome series as a way to learn more about their subscribers, and in turn, send them more targeted emails. It’s actually really easy to do this. Just direct people to click one link or another. Then use your email marketing automation software to move the people who clicked one link or another to a separate list. Think hard before you set something like this up. If you could only know two or three things about your subscribers, what would those things be? It’s simple: Welcome emails rock. If you’re not using them, change that – today. Start crafting your messages. They’re really easy to set up AND get major results. It’s time extremely well spent. Are you using a single welcome email, or a welcome email series? Which one do you think works best? Let us know in the comments below – and, while you’re at it, like and share on social media to help spread the Word!